A local funeral home representative was recently recognized for her work. Selwyn Harris/Pahrump Valley Times Lee Funeral Home Licensed Funeral Director and General Manager Angela Mercer receives the Valued Employee Award for her 10 years of service within the community. Bestowing the award is Eric Lee who co-owns the business with his father James Lee. 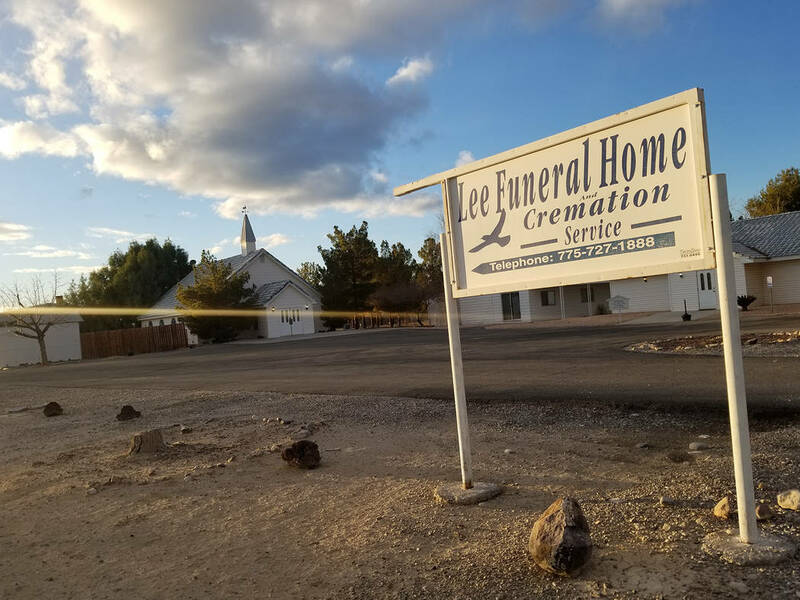 Special to the Pahrump Valley Times Father and son James and Eric Lee purchased the funeral home at 720 Buol Road back in 2002 when it was known as the Neptune Society of Nye County. In 2006, the name was changed to Lee Funeral Home. 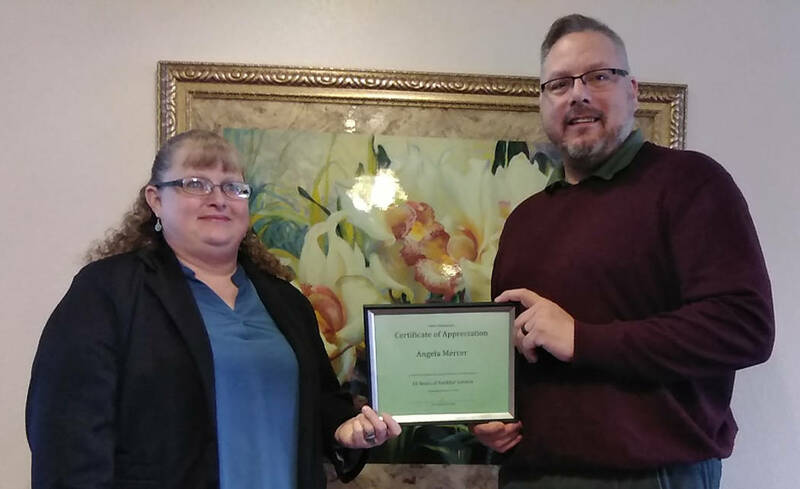 Angela Mercer, of Lee Funeral Home and Cremation Services, received the Valued Employee Certificate for her 10 years of service during a presentation at the 720 Buol Road location. Owner Eric Lee said Mercer has been a great asset to the business over the past decade. Mercer, meanwhile said she is grateful to the Lees for her valued employee status. Mercer also spoke about the importance of pre-planning. As Pahrump is a tight-knit community, Mercer also said she, from time to time, has made funeral service arrangements for families of individuals she has known personally. As emotionally taxing as the funeral business can be at times, Mercer said she really doesn’t have a problem retaining employees, such as body removal technicians. The Lees purchased the funeral home in 2002 when it was known as the Neptune Society of Nye County. In 2006, the name was changed to Lee Funeral Home.